Add Center Cap Logo Decals? 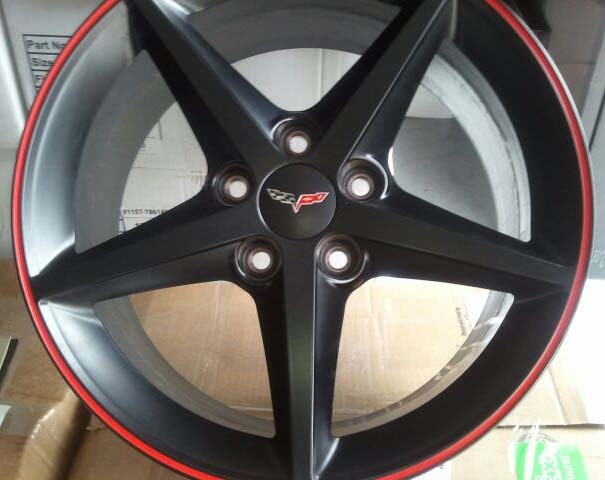 When you want your wheels to look amazing and fit the way your originals did, the C6 Corvette Grand Sport 2006-2013 Centennial Edition GM OEM Black / Red Stripe Wheels is what you need. These Corvette Centennial Edition GM OEM Black / Red Stripe Wheels were used on the 2012 Centennial Edition Corvette, and are now available for all C6 Grand Sport Corvettes. 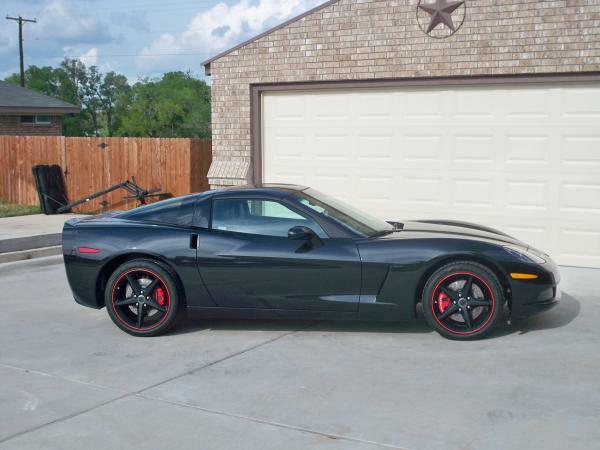 They have a black finish and feature red stripes, giving your Corvette an aggressive and sporty look. These wheels are sold in a set of 4. This allows you to completely replace all four of your Corvette's wheels for a seamless transition. Please use the drop-down menus above to make your center cap logo decal and lug nut selections.